Easily back up your Raspberry Pi SD card using simple Linux commands. 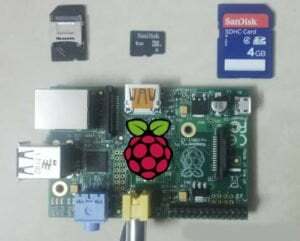 For all those who have worked on a Raspberry Pi, you might have experienced the frustration associated with having a corrupted SD card, especially when all the work you have done is stored in it. But it doesn't have to be that way. Using a couple of really simple commands in Linux, you will be easily able to back up your Raspberry Pi SD card. And, when required, to restore the Raspberry Pi backup on to a new SD card. The process is really simple and straightforward. Once you have restored the image of your Raspberry Pi backup to your new SD card, you will be able to just plug it in and use it like your old system. This post also covers general dilemmas, such as how to back up a Raspberry Pi SD card having multiple partitions and also the solution to the infamous dd command error: "dd: writing to `/dev/sdc': Input/output error". It also addresses the problem of not being able to use the full memory capacity of your Raspberry Pi SD card after restoring an image file onto it. Use this DIY Hacking tutorial to safeguard all your precious work on a Raspberry Pi. How Does Backing Up the Raspberry Pi Work? Here, we are using simple dd commands to create an image (.img) of the SD card we want to back up. This image can then be zipped and stored in your PC for the future. While restoring the Raspberry Pi backup, you again use the dd command in the reverse order and prepare the new SD card. However, please note you can only restore an .img file onto a memory card having equal or greater memory capacity than the original backed up SD card. Take extra precaution while performing the dd command, as it can cause you to corrupt your hard disk if you enter improper destination or source addresses in it. The memory card should be specified under "if" and the destination of the backup under "of". You can use "bs=1M" or "bs=4M" to specify writing speed with the command too. Now, remove the card reader or the SD card and re-insert it. And again, perform the dd command like below; it should work without any errors. If it again shows dd errors, repeat the above steps. Now you have created an identical copy of your original Raspberry Pi SD card. Plug it into your Raspberry Pi and it will be just like it was before. 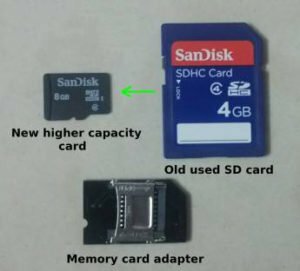 In cases when you are using a new SD card of greater memory capacity than the original card, you will notice when you perform the "df -h" command, the size of the new card is identical to the original SD card even though it is actually a bigger SD card. In order to utilize the entire space of the new SD card, simply plug the card into your Raspberry Pi and start it up. Enter the command "sudo raspi-config" and select "Expand root partition" option. It will ask you to reboot when you exit by selecting "Finish". After rebooting, perform the "df -h" command, and you will notice now that the maximum size of the SD card is at its full capacity. In any case, if you experience the dd error dd: writing to `/dev/sdc': Input/output error, in the second step, please perform the fsck operation like in the first step, and perform the dd command again after removing and re-inserting the Raspberry Pi SD card or the memory card reader into the PC. Having a Raspberry Pi backup will make your life a lot easier.